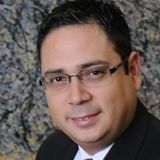 Justia Lawyer Directory Search for "Ruben Martin Saenz"
Search for "Ruben Martin Saenz"
(888) 900-1748	4330 W. Oakland Park Blvd. When you come to the law office of Guerra Sáenz, you can have confidence in the support you can receive. To learn more, contact a Fort Lauderdale immigration lawyer at the office without delay.